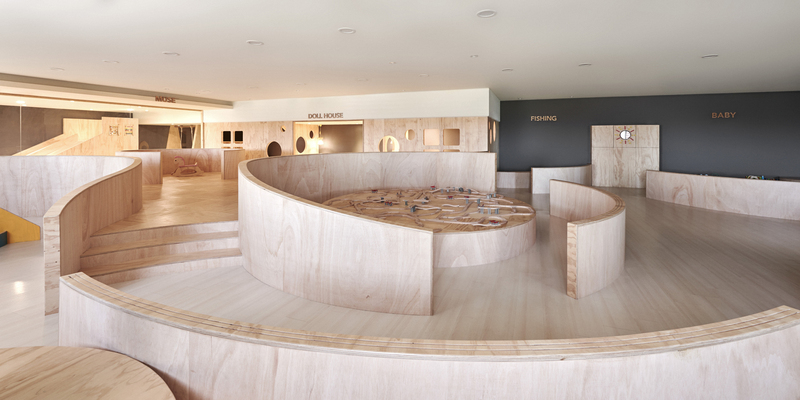 Based on the concept “Synapse”, we designed this interactive playground. It is aimed at helping the brain development of pre-school children. By shaping a curvy dwarf wall as free as neuron transmission and arranging layers in various heights, relations between parents and kids are innovatively created. 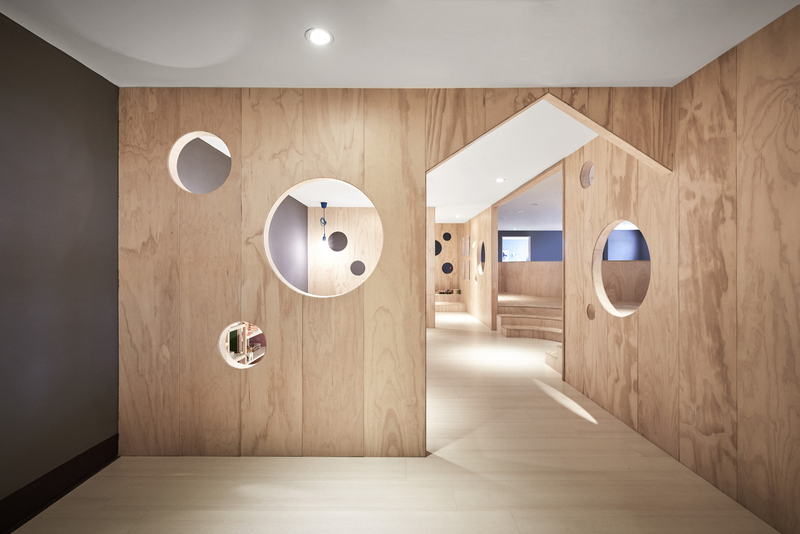 When it comes to the design details, a toy car track and several round windows are set into curvy walls divided the playground in different parts , parent-child interaction is greatly enhanced. 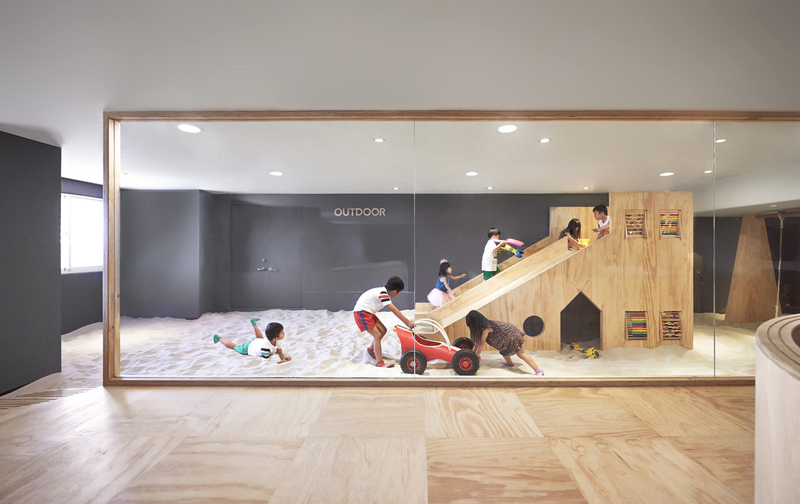 To strike a balance between safety and fun, the space is mainly designed for Kid’s size. As an aside, all the right-angled corners are replaced by round ones to avoid danger. The selection of materials is simple and environmentally friendly. 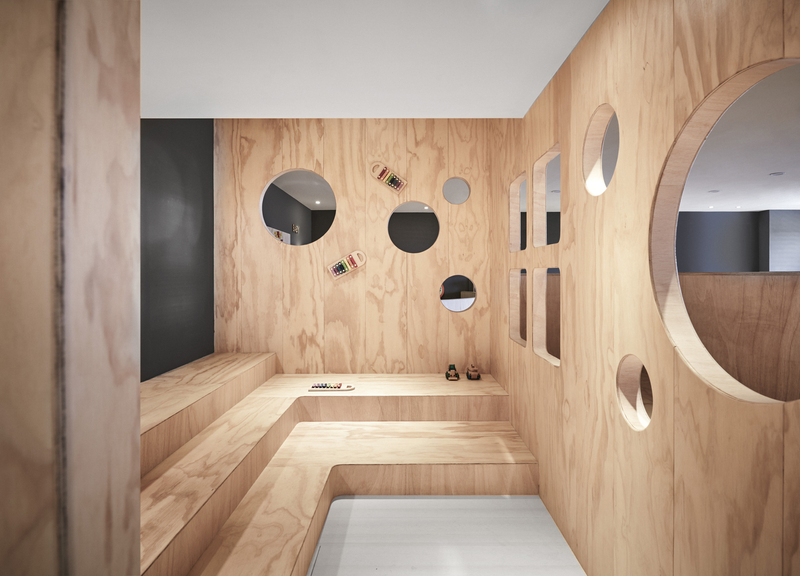 A cozy atmosphere permeates as the construction is mainly made by natural pine plywood. 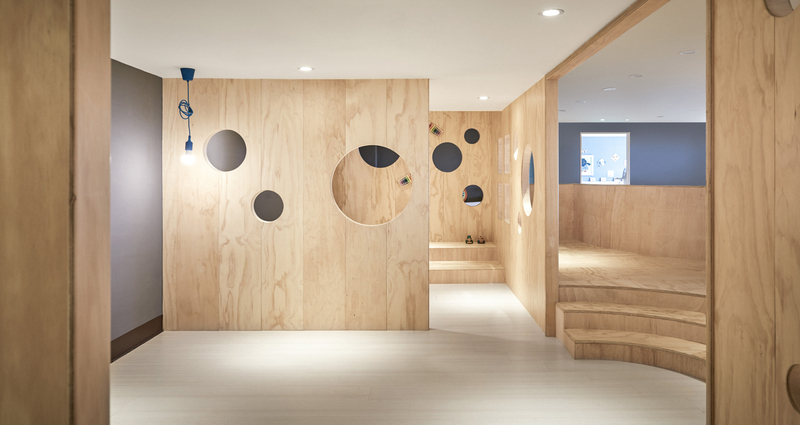 Last but not least, dark painted walls and colorful toys add the finishing touch to the entire space whilst the bright sunshine is integrated.